Dried Fruit – Smart Snack Or Health Hazard? In speaking to countless patients over the years, it is apparent that people generally want to eat a healthy diet. In most cases, however, this is easier said than done. It takes a lot of planning to eat right each day, and many people feel overwhelmed by the high volume of information about nutrition coming from magazines, newspapers, television and medical professionals. One of the most common concerns I hear from patients is the difficulty of getting enough servings of fresh produce. To make it easier, people often turn to dried fruit out of convenience. My wife often buys these types of snacks every time we are in the airport. I would like to explore these kinds of choices and let you know whether or not it is a truly healthy option. Everyone needs fruit and vegetables to stay healthy. These natural wonders are chock full of vitamins, minerals and antioxidants, the substances that protect our cells from free radical damage. Many fruits commonly sold both fresh and dried, such as blueberries, cherries, cranberries and figs, are particularly rich in nutrients that protect our health. Depending on age, weight and activity level, most adults must consume 5 to 9 fruit and vegetable servings each day. The problem is that choosing fresh produce isn’t always easy. You may not have access to a refrigerator at work all day, and delicate fruits like pears and raspberries don’t travel very well. Furthermore, purchasing fresh fruit at fast food restaurants, delis, or convenience shops is either impossible or expensive, and the selection is very limited. Despite these challenges, eating your daily produce servings is a natural, highly effective way to keep your body at its best. For many people, dried fruit has become the go-to solution to the produce dilemma. The question, however, remains: Is dried fruit truly healthy? The answer is not as clear as you might think. To make dried fruit, manufacturers remove the water. It is the water in fresh fruit that contributes to spoilage and bacteria growth, so dehydrating the fruit makes it shelf stable for six months to a year. If dried fruit is simply fresh fruit with the water extracted, how could it be bad for you? In order to dehydrate fruit like plums, apricots, figs, grapes and all the rest, the fruit must be exposed to dry heat from either the sun or commercial grade ovens. This heat has a negative effect on fruit’s nutrient content. In particular, vitamin C, potassium and calcium are three important substances that drastically deteriorate during the drying process. For example, a dried apricot loses over half of its potassium content, and fruits high in vitamin C lose nearly all nutritional value due to drying. On the upside, however, dried fruit does not lose its fiber and iron content. Another issue to consider with dried fruit is chemical content. For certain fruits, such as, golden raisins and apricots, sulphur dioxide is used to fix the color during the drying process. This chemical may aggravate or provoke asthma attacks in some individuals. To avoid unwanted additives, you can purchase natural and organic dried fruit at health food stores. When you eat dried fruit, you must also take calories into account. Remember, the water has been removed, considerably reducing the volume of the fruit. Therefore, you will need to eat a smaller portion of dried fruit compared with fresh fruit in order to consume the same amount of calories. For example, one cup of fresh grapes has about 60 calories, while one cup of raisins has 495 calories-quite a difference! In addition, dried fruit tends to be much sweeter due to concentrated flavor, so it’s easy to eat a lot without thinking about it. To keep calories in check, divide fresh fruit into individual portions and put them in zip top bags. Keep single servings in your car, purse or desk drawer for snacking. Despite some stumbling blocks, the National Cancer Institute says that a quarter cup of dried fruit counts as a serving of produce. I recommend that my patients who enjoy dried fruit eat it as just one of their daily produce servings, and that they carefully monitor portion size. With healthy eating, variety is the key. If you purchase natural, chemical-free dried fruit and eat it along with a wide array of fruits and vegetables, it can be a convenient solution to your eat-right goals. Source by Mark Rosenberg, M.D. This is final day of The Self Reliance Summit 2016. Jason Matyasis first person to be interviewed by John Crane. Jason Matyas is a husband and father of seven, lifelong gardener, 17 year Air Force veteran with 9 worldwide deployments including two tours in Afghanistan, visionary entrepreneur and business strategy consultant, and Founder or Co-Founder of six startups. He is the founder of a family business with his children called Seeds for Generations that provides heirloom garden seeds and inspiration for gardening as a family. Jason discussion includes Understanding the Modern Grid and the how to Reduce Dependence on it. The modern system – economy, government, and culture – has developed into a massive control grid that seeks to dominate almost every aspect of your life. 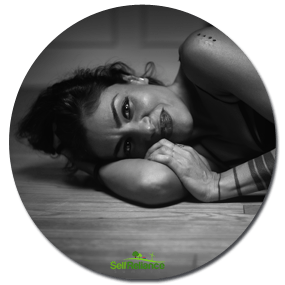 It does this first and foremost through capturing your mind – teaching you how to think – so that you are unable to contemplate a life outside of the constraints that the system has set for you. This is the ultimate form of slavery – slavery over the mind. But it is one that is agreed to by its subjects, even if out of ignorance. To seek true freedom requires opening your eyes and seeing reality for what it truly is, breaking out of the boxes that have developed in your mind, and evaluating how you can work around the constraints that have been set for the progress and prosperity of you and your family. It is essential that you understand how our current system works so you can properly assess your own situation and make wise decisions about how to prepare for the future. Join us for a challenging and eye-opening presentation that is sure to make you re-think your paradigm. Rachel Morrison is the last interviewee. Rachel specializes in Internal and Global Strategies with an emphasis in spirituality, wellness and sustainability education. She studied International Business and Marketing, and has practiced Integrated Wellness Principles most of her life. Rachel is a speaker,trainer and developer of “programs of change” with Sunrise Ranch and where thought leaders from around the world, who are dedicated to the awareness and evolution of consciousness by focusing on global development through the Self, Thriving Community and Unified Efforts go. Interdependence and Self-Reliance; Living in Sustainable Community are her topics for interview. How to live in sustainable community while developing inner-self-reliance and cultivating inner peace, self-understanding, and conscious awareness. 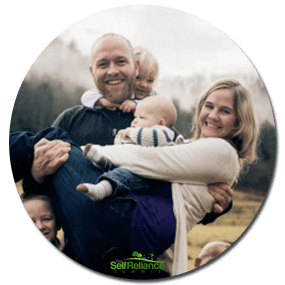 Learn first hand from someone who’s lived in intentional community for 6 years what it’s like to be in a supportive, changing, dynamic, successful intentional community. Justin Rhodes is opener for day seven of The Self Reliance summit 2016. Justin is a Permaculturalist, film producer, author and teacher. He helps folks learn to work with nature to produce their own sustenance so they can live a more abundant life. 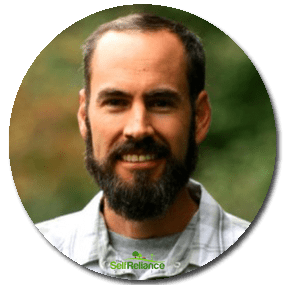 Justin trained under the highly accredited Geoff Lawton of PRI Australia for his Permaculture Design Certificate (PDC) and has studied natural chicken care under popular author, Pat Foremen. He founded Abundant Permaculture out of a love of teaching and the sustainable movement. Justin discusses Permaculture Chickens and use of the 20 Hour Business to Fund Your Farm. How his sustainable business rescued me from “poverty” and IS changing the world. Plus, the tips and tricks you can use to create your own home based sustainable business. 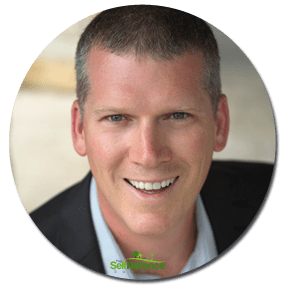 Mike Adams, the “Health Ranger,” is an outspoken consumer health advocate, award-winning investigative journalist, internet activist and science lab director. He is the founder and editor of NaturalNews.com, the internet’s most-trafficked natural health news website. He is also the creator of CounterThink.com, FoodInvestigations.com, HealingFoodReference.com, HonestFoodGuide.org and several other websites covering natural health topics. Adams has received accolades and testimonials from several key influencers in the natural health space, including Dr. Michael T. Murray and raw food pioneer David Wolfe. Nike’s topic for discussion is BREAKTHROUGH-How to grow your own tax-free food and medicine without using electricity or soil.Did you know that you can grow your own food and medicine? You don’t even need electricity or soil to be self-reliant. Follow Mike Adams, the Health Ranger, as he teaches self efficiency and answers many questions pertaining to growing your own tax-free food and medicine! Day six starts with discussion involving Steven Harris. 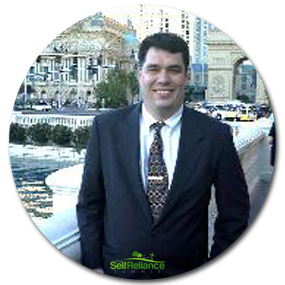 Steven Harris is a consultant and expert in the field of energy. He is the founder and CEO of Knowledge Publications, the largest energy only publishing company in the USA. Mr. Harris came to his current position to do full time work on the development and implementation of hydrogen, biomass and solar related energy systems after spending 10 years in the Aero-Thermal Dynamics department of the Scientific Labs of Chrysler Corporation, where he was a pioneer member of the group that developed and implemented successful Speed to Market development concepts. Steve’s interview is about Self Reliance Preparedness – Everything You Need to Know About Batteries and More. Steven Harris covers ALL Batteries that you can use in Preparedness. Alkaline, Lithium, NiMH, NiCD and Lithium Ion Batteries. AAA, AA, C, D, 9V, CR123, RCR123, 14500, 16240, 18650, 26650’s and more. What you are watching is a live presentation given by Steven Harris to the Pittsburgh Preparedness Group. It is a live and fun interaction with the crowd as Steven teaches. You will not be bored and you will learn many things that you never knew about batteries. Nathan Crane brings Sam Coffman as next interviewee.Sam began his medical education in the military as a U.S. Special Forces Medic in 1989. At that same time, he became highly interested in herbalism as a way to provide health care in remote regions with a minimum of medical supplies, both for acute care and trauma as well as for chronic conditions. This was the start of a long journey into the world of plant medicine for Sam. 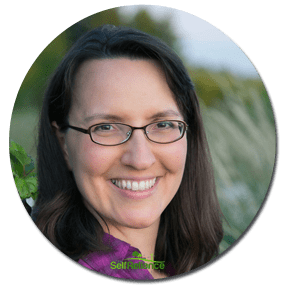 Sam founded and runs a survival and herbalism school called The Human Path offering complete clinical herbalism courses in the central Texas region. Sam talks about Sustainable Medicine and the Human Community. Plant medicine is a way to bring an entire community together much in the same way that any group of animals gather around a watering hole. This vital idea of health care that we can all contribute to and be a part of is an idea that fixes the human condition on many levels. It creates community and harmony where that might not have existed. It creates a vital connection between the planet and the human species. It creates a sense of responsibility at the personal level, which contributes to better health on a physical, emotional and spiritual level. Sam Coffman discusses some of the ways in which he has introduced sustainable medicine and nutrition into communities around the country and around the world in order to begin to bring families and neighborhoods together in a solidarity of human survival with the planet rather than in spite of it. 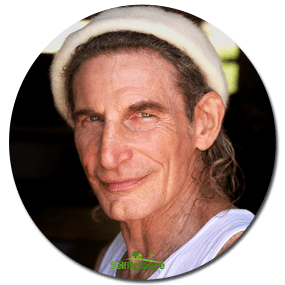 Nathan Crane interviews Gabriel Cousens on the fourth day, who is the author of twelve internationally acclaimed books including Conscious Eating and Spiritual Nutrition. 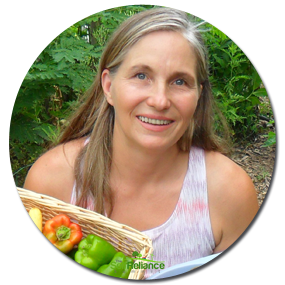 Known worldwide as a spiritual teacher and the leading expert in raw, live, plant-source nutrition, Dr. Cousens functions as a holistic physician, psychiatrist, family therapist, and cutting edge researcher on healing diabetes naturally. His multi-cultural background as an ordained rabbi, an acknowledged yogi, and a four-year Native American Sundancer, adds insight to his “whole-person enlightenment” teachings. His topic is Peace With the Ecology.The Essene Sevenfold Peace is an ancient liberation path recently revivified within the context of the Living Essene Way. Peace with the Ecology is essential in nourishing a global environment that supports the spiritual evolution of humanity. As we move away from a perspective of stewardship and towards the realization of our collective oneness with Nature, we uncover the true meaning of our divinely ordained dominion. Shayna Gladstone is our next candidate in the summit. Her personality shines with radiant smile. 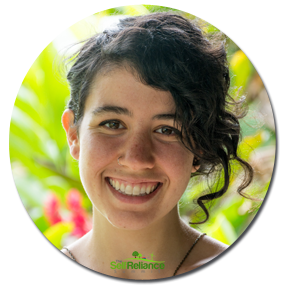 Shayna empowers others to re-wild themselves through her tech start up, NuMundo, her music, her Earth Journeys and her permaculture lifestyle. Shayna is also the founder of Dream Activation, guiding individuals and teams through the dream and strategy of igniting their visions. A life-long performer, organizer and earth activist, Shayna has been “working” hard to empower others to live in right relations with each other, our communities and the earth. She speaks about realizing our Oneness with Nature and Aligning with Your Life’s Passion and Purpose. She says we are not separate from nature. We ARE nature. This radical shift in consciousness must be spread far and wide. The idea that we are supreme and separate from nature is a global disease that has created consumeristic monsters with a disconnect from what it’s doing to the fragile ecosystem. She poses following questions to the audience. How can we facilitate the health of ecosystems in our daily lives? What do we have to learn from indigenous wisdom? How can we re-write our cultural narratives? What do we have to learn from nature? In her talk, she will explore the themes of oneness with nature, the importance of preserving and learning from our ancestors, and ways that we can begin to live in a harmonious way with the land. The third day of The Self Reliance Summit 2016 is starting with the interview of Marjory Wildcraft. 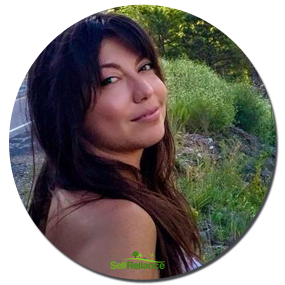 She is the founder of the [Grow] Network, which is the online home of a global network of people who produce their own food and medicine. “Home grown food on every table” is the solution. Marjory was featured as an expert in sustainable living by National Geographic, she is a speaker at Mother Earth News Festivals, and is a regular guest on Cost to Coast AM. She is an author of several books, but is best known for her video series “Grow Your Own Groceries”. She is considered The Most Dangerous Woman In America, not because of any other reason than she is a gutsy woman, who is not afraid to speak her mind, especially when it concerns the food we eat. She arouses your curiosity with questions like, what would it be like to be completely free of supermarkets and drugstores? What would it be like if you didn’t have to worry about the ever-increasing price of food? And wouldn’t it be great if you had access to food that is way more tasty and nutritious than anything you can buy? Then answering them with the statement – not only is this possible, there are people who are already doing it. There is so much truth to it. She simply is marvelous in explaining things in the most easiest way to understand. Paul Wheaton, is the second interviewee of the day. He is the creator of the largest permaculture forum on the internet, permies.com. 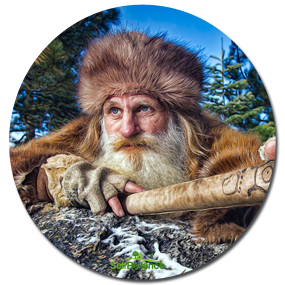 He has been crowned the “Duke of Permaculture” and has released over 290 podcasts on many permaculture topics ranging from eco-building to frugality to cast iron cookware. 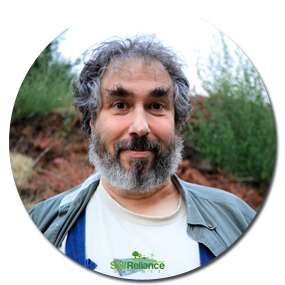 Paul is an Advanced Certified Master Gardener, permaculture designer, farmer, and community leader. Not to mention, he accomplishes all of this while rocking a pair of spiffy overalls. His topic for the day is Hugelkultur and Permaculture Food Systems. Paul has been gabbing about, and experimenting with hugelkultur beds and other permaculture food systems for nearly two decades. 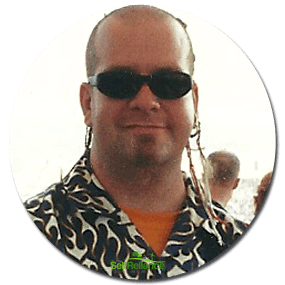 In this interview, he will spill his guts to you about everything he has learned in this space, so you can create these flourishing systems on your own. The Nathan Crane starts the second day of The Self Reliance Summit by interviewing Maryam Henein, who spans 15-year career as an investigative journalist, entrepeneur, and producer. She hit a milestone with the release of her award-winning documentary Vanishing of the Bees, narrated by Ellen Page. It also marked her directorial debut. Maryam’s other credits include programs for the BBC, Discovery, Robert Greenwald, and Morgan Spurlock—plus, she co-wrote and hosted a program for TLC about the Ark of the Covenant. The topic she discussed here refers to Secret Life of Bees/ CCD Then And Now. She talks about the honeybees, secret life of bees, systemic pesticides, parellels between bees and auto immune sufferers, CCD then and now around the world, the poisoning of our planet due to spraying in air planes, fumigation at borders in central america, and what to do about it. Todays second interview is with Brad DeRosia. Brad once lived the life of a rockstar playing in front of millions of people (opening for global figures such as the Pope) and has several top 10 CCM hits. Now Brad has become obsessed with all things needed for self sufficient living. You may know Brad from his popular website and youtube channel “Big Family Homestead” where he share videos like “how to start a fire with a guitar pick”, “How to make an $8 goat pen” and more. 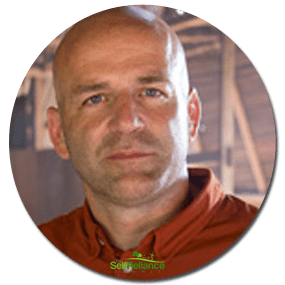 Brad’s interviews entails journey on his transformation From Rockstar to Bee Keeper and Homesteader. How my family went from a hit band on the radio playing for the Pope, to being obsessed with self sufficient living. A family of nine learns how and why we all need to be homesteaders on some level. The aim is to bring the information on how to become self reliant in all aspects of life. Summit starts on June 13, 2016 and ends on June 20th, 2016. It will be available free for any one to listen and improve their lives through the links provided by me websites. I will be making posts of summaries of the dialogue daily. If after reading summary you feel interested to listen to the interview on the topic please feel free to go to the link provided to get free access to the discussion. I mean to save your precious time so that you do not waste on the topics which do not want to listen. Watch for my posts from now till end of summit to view the interviews and discussions you desire. Link will be given with each summary postings. Did You Miss Seeing The Food Revolution Summit? The sessions of the summit include super foods, anti cancer foods, general well being foods, GMO foods, Organic foods and many more topics . Its information can be used to combat diseases of all kind. Use of food as a medicine is also well explained. Losing weight segment is very well elaborated. Foods that can help you against various cancers like breast cancer and prostate cancer are also suggested. Cancer survivor who became as healthy food coach is also interviewed. It is well worth the price hundreds time over. if you want to educate yourself about the foods and their benefits then it is must have item. You can gift to the people you care about. It can be something you can pass on to your next generations.